The narrow-field-of-view zenith radiometer (NFOV) is a ground-based radiometer that looks straight up. As the name states, the field of view of the instrument is narrow, thus permitting the measurement of the downwelling zenith radiance. The instrument outputs a time series of 1-sec observations of the zenith spectral radiance measured at a wavelength of 869 nm. Data from the instrument have many uses; for example, the internal structure of clouds can be characterized by examining a time series of the radiance data. Liu J and Z Li. 2018. "Significant Underestimation in the Optically Based Estimation of the Aerosol First Indirect Effect Induced by the Aerosol Swelling Effect." Geophysical Research Letters, 45(11), 10.1029/2018GL077679. PZ, M Alvarado, C Chiu, S DeSzoeke, C Fairall, G Feingold, A Freedman, S Ghan, J Haywood, P Kollias, E Lewis, G McFarquhar, A McComiskey, D Mechem, T Onasch, J Redemann, D Romps, D Turner, H Wang, R Wood, S Yuter, and P Zhu. 2018. Layered Atlantic Smoke Interactions with Clouds (LASIC) Field Campaign Report. Ed. by Robert Stafford, ARM Climate Research Facility. DOE/SC-ARM-18-018. Wood R, J Stemmler, J Rémillard, and A Jefferson. 2017. "Low-CCN concentration air masses over the eastern North Atlantic: Seasonality, meteorology, and drivers." Journal of Geophysical Research: Atmospheres, 122(2), 10.1002/2016JD025557. Wood R, M Wyant, CS Bretherton, J Rémillard, P Kollias, J Fletcher, J Stemmmmler, S de Szoeke, S Yuter, M Miller, D Mechem, G Tselioudis, JC Chiu, JA Mann, EJ O’Connor, RJ Hogan, X Dong, M Miller, V Ghate, A Jefferson, Q Min, P Minnis, R Palikonda, B Albrecht, E Luke, C Hannay, and Y Lin. 2015. "Clouds, Aerosols, and Precipitation in the Marine Boundary Layer: An Arm Mobile Facility Deployment." Bulletin of the American Meteorological Society, 96(3), 10.1175/bams-d-13-00180.1. Fielding MD, J Chiu, RJ Hogan, and G Feingold. 2014. "A novel ensemble method for retrieving properties of warm cloud in 3-D using ground-based scanning radar and zenith radiances." Journal of Geophysical Research: Atmospheres, 119(18), 10.1002/2014jd021742. Mann JA, JC Chiu, RJ Hogan, EJ O'Connor, TS L'Ecuyer, TH Stein, and A Jefferson. 2014. "Aerosol impacts on drizzle properties in warm clouds from ARM Mobile Facility maritime and continental deployments." Journal of Geophysical Research: Atmospheres, 119(7), 10.1002/2013jd021339. Remillard J, P Kollias, and W Szyrmer. 2013. "Radar-radiometer retrievals of cloud number concentration and dispersion parameter in nondrizzling marine stratocumulus." Atmospheric Measurement Techniques, 6(7), 10.5194/amt-6-1817-2013. McComiskey A and G Feingold. 2012. "The scale problem in quantifying aerosol indirect effects." Atmospheric Chemistry and Physics, 12(2), 10.5194/acp-12-1031-2012. Marshak A, Y Knyazikhin, J Chiu, and W Wiscombe. 2010. Cloud Edges: the Spectral-invariant Relationship Between Ratios of Zenith Radiances Near Them. Presented at Atmospheric System Research (ASR) Science Team Meeting. Marshak A, Y Knyazikhin, JC Chiu, and WJ Wiscombe. 2009. "Spectral invariant behavior of zenith radiance around cloud edges observed by ARM SWS." 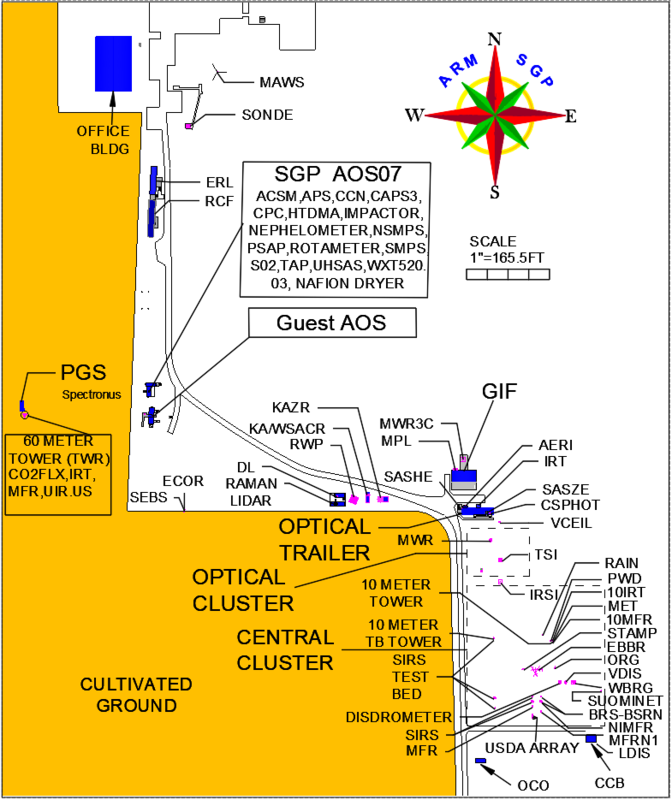 Geophysical Research Letters, 36(16), L16802, 10.1029/2009gl039366.